Brent* was a long term employee, employed in the position of Chief Technology Officer. His employer brought in a new manager to make changes and he created a new job, Head of Technology. Brent was then made redundant. It was a sham redundancy. 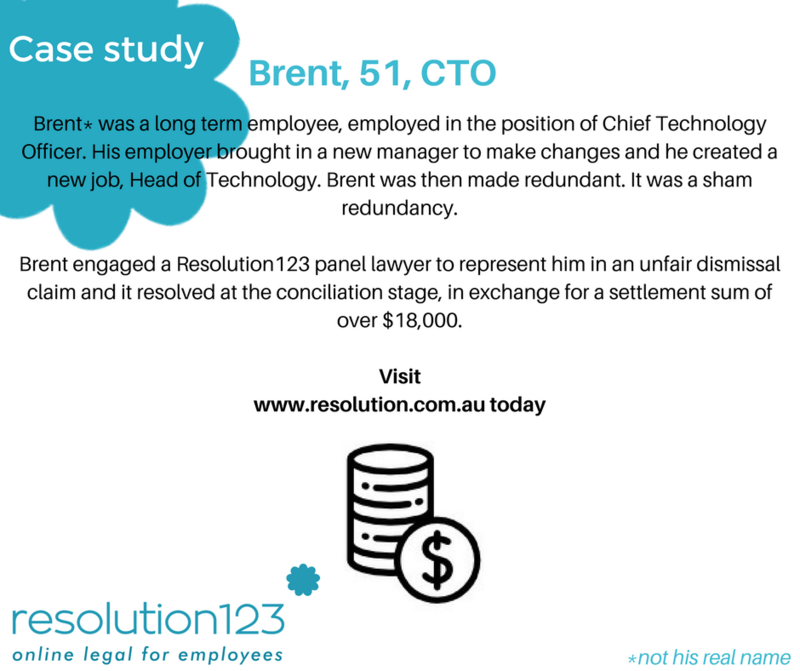 Brent engaged a Resolution123 panel lawyer to represent him in an unfair dismissal claim and it resolved at the concillation stage, in exchange for a settlement sum of over $18,000. Resolution123 secures win for employee in Fair Work Commission!